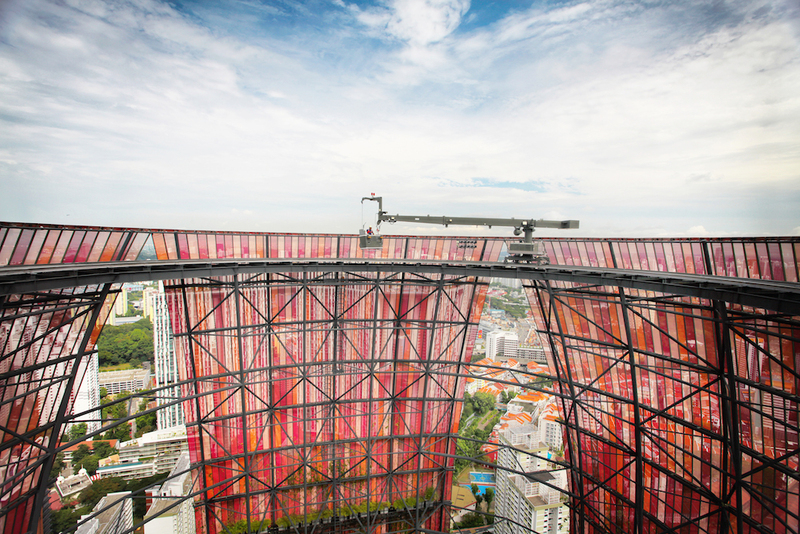 Singapore’s ‘living tower’, the Oasia Hotel Downtown, is at the cutting edge of the growing trend for sustainable practices and in particular the rise of the building garden. The building benefits from an open structure, incorporating four verdant ‘sky terraces’ to serve as urban verandas, sheltered by a sky garden with an open crown instead of a flat roof. The large curtain wall is covered in landscaped features and the ingenious design necessitates numerous voids to accommodate the garden areas. The facade is home to 21 species of creepers which will grow and fuse with the outside of the building. 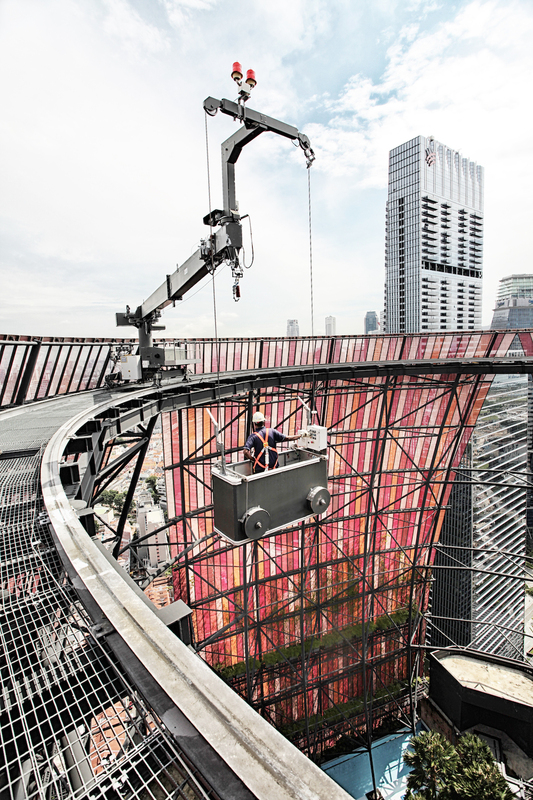 An additional 33 species of plants and trees have been incorporated into the sky terraces and top level garden. The imagination and practical expertise involved in realising this vision needed equally inventive access solutions to ensure the structure itself, and the organic elements crucial to its success, could be effectively accessed and maintained. CoxGomyl were able to deliver a reliable and cost-effective solution by intelligently utilising a combination of standard machines and components to deliver a comprehensive solution. An F-Type BMU with fixed jib and fixed mast is located at crown level. This features a fold down head to streamline the shape of the machine and minimise the visual impact on the open crown design. 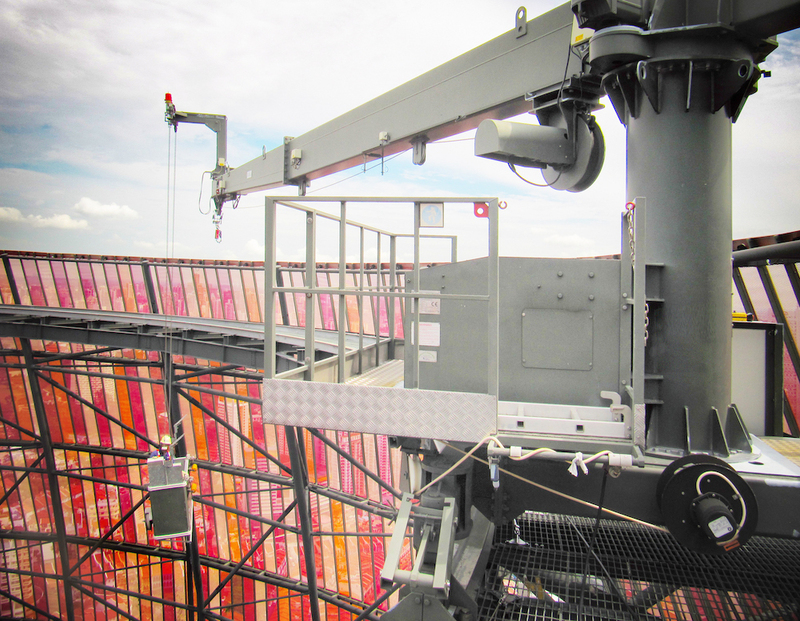 The open crown of the building also meant that the BMU is located some 40 metres above the top floor so a series of cage ladders ensures operator safety. The additional functionality of a soft-rope system allows the cradle to travel horizontally and diagonally and navigate the unusual structure. Monorail systems on the underside of the soffit overcome the challenge of the large voids throughout the building and provide access to the mid-level gardens. 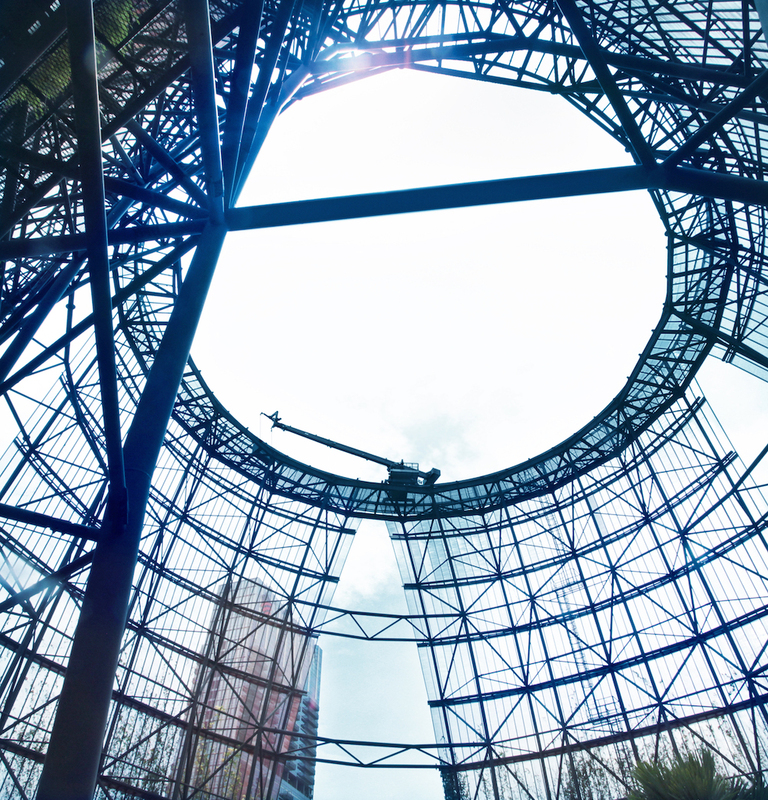 The final part of the solution was a materials hoist capable of lifting up to seven tonnes, the first of its kind to be installed in Singapore. Although the client had expected that a more complicated and expensive L-shaped sub frame would be required, CoxGomyl were able to demonstrate that this particular combination of standard systems would provide all the required coverage and functionality, as well as being the most economical solution put forward.